Harley Refsal started carving in 1968, inspired by the wooden folk-art figures he saw while travelling in Norway and Sweden. In researching the Scandinavian style of carving, he found references to Axel Petersson Döderhultarn, a very well-known Swedish carver who originated the rough-hewn, or “flat-plane,” style that Harley admired. Although Döderhultarn carved in the late 19th and early 20th centuries, his impact was still seen in the many carvings Harley saw in shops during subsequent visits to Norway and Sweden. And, Harley literally wrote the book. Several of them. 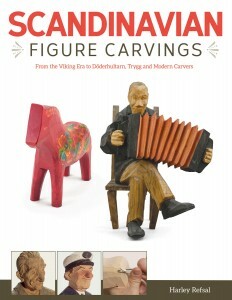 He tells the story of Scandinavian flat-plane carving—and, really, the history of all caricature carving—in his book, Scandinavian Figure Carvings: From the Viking Era to Döderhultarn, Trygg, and Modern Carvers. 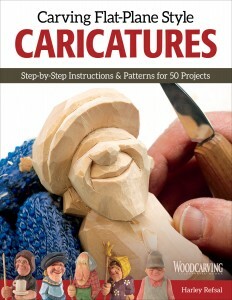 He provides several step-by-step projects and scores of patterns in Carving Flat-Plane Style Caricatures. 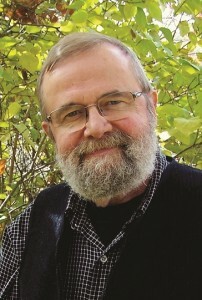 Material from both books has been pub lished before, but both have been updated with new material, including extensive photos, maps, event calendars, and more. 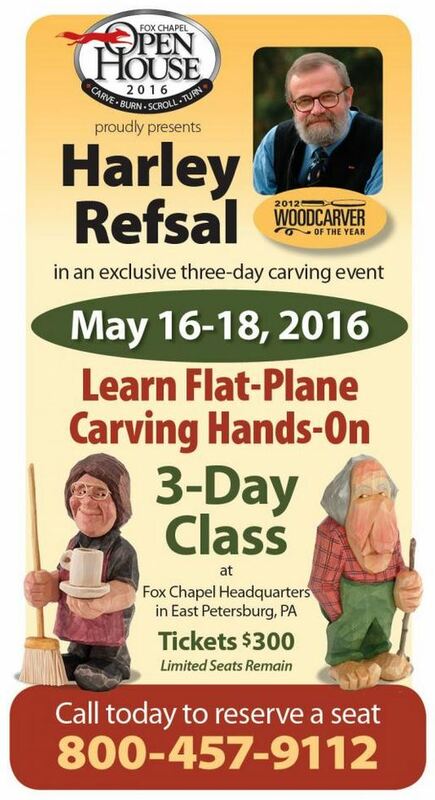 Meet Harley and hear him speak about Scandinavian flat-plane carving at the 2016 Fox Chapel Publishing Open House and Woodworking Show on May 13-14, 2016 in Lancaster, Pa. Click here for details. Want to learn flat-plane carving? Take a rare public class from Harley at Fox Headquarters on May 16-18. You’ll finish and paint at least one carving; some carvers manage two or three. Click here for details or tickets.